A modern and extremely easy-in-use project plan system which allows you to specify complex tasks sequences. Project Master is a project management software tool that is economical yet versatile. 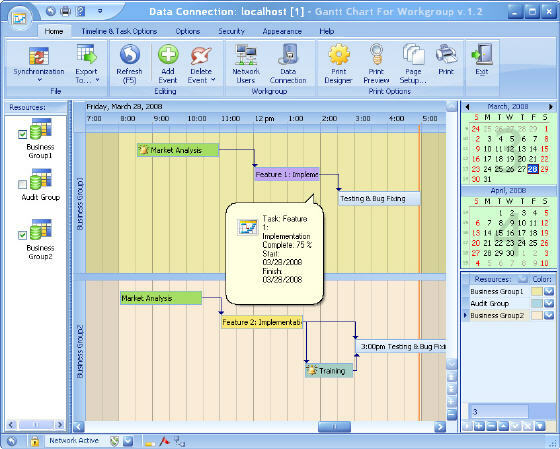 With this program you create Microsoft Excel Gantt charts, schedules and reports quickly and easily. It is very easy to use in small size.